Coke, lemonade or Gatorade - most children love soft drinks and tend to drink more than is healthy for them, especially when they're on an all-inclusive family holiday. But new research suggests parents should take out adequate medical travel insurance before they take their kids abroad as high levels of soft drink consumption were found to be connected to asthma and/or chronic obstructive pulmonary disease (COPD). The study by researchers from the University of Adelaide analysed data from more than 16,000 participants in South Australia and found that 10% of people aged 16 or over have more than half a litre of soft drinks a day. Of those 10%, around one in eight (13.3%) had asthma and just under one in seven (15.6%) was diagnosed with COPD. 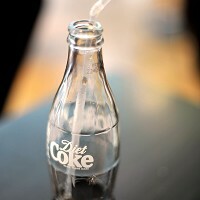 Overall, people who drink more than half a litre of soft drinks every day were found to have a 1.26 times higher risk of having asthma and a 1.79 times higher risk of having COPD. Lead researcher Zumin Shi said the odds ratio was even worse for people who smoked, especially for COPD sufferers. Zumin said: "Our study emphasises the importance of healthy eating and drinking in the prevention of chronic diseases like asthma and COPD."